"Holy chocolate richness! Wow, these are good!" That is exactly what I said as I consumed my first truffle from newly launched Ggachi Bakery out of Greenwich, CT. Oh, and the truffle I was so floored by ... it was vegan. Yeah, vegan! 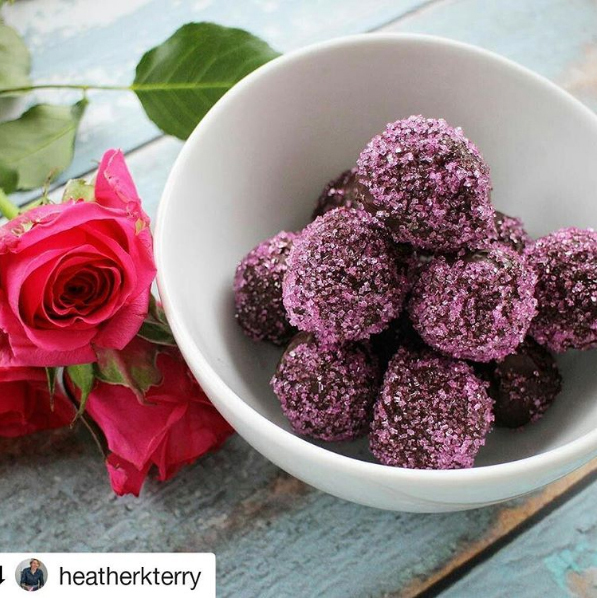 Not long after I wrote about chocolate entrepreneur Heather Terry, I saw on Instagram that she was planning a new adventure. I could not wait to see what she was going to do next. 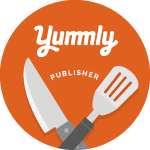 In addition to chocolate, you can now add pastry chef to her list of accomplishments. Her new business is Ggachi Bakery, where you can indulge in a wide variety of handmade truffles, decadent chocolates, baked treats, and tiered wedding cakes. 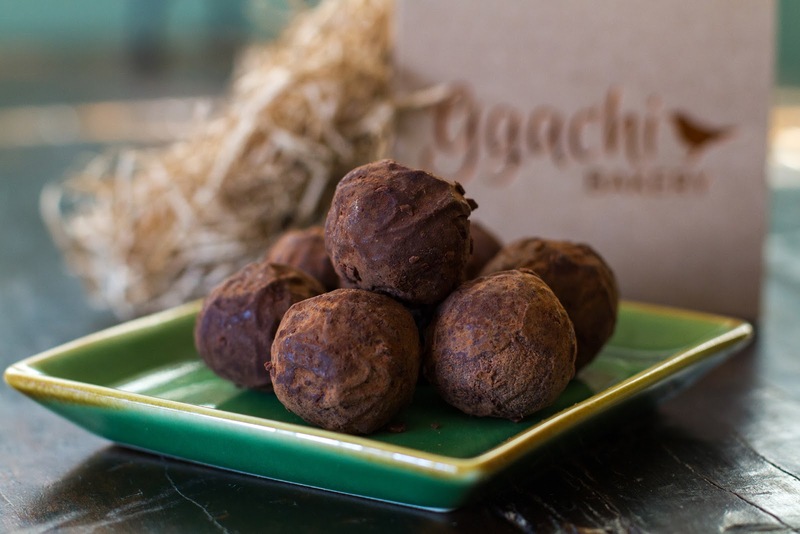 At Ggachi they do not add artificial preservatives and they source organic certified, non-GMO, high-quality chocolate, sugar, milk ingredients, etc. Ggachi is the Korean word for magpie. What does that have to do with a bakery? Well, Heather wanted to incorporate her daughter, Magdalena's nickname, Magpie, into the bakery name. Apparently, the magpie is a pretty common choice for bakery names. Heather's new venture was going to be unique; she needed a name that would be just as unique. A Korean friend happened to mention the Korean word for magpie and the rest is history. Beyond being a unique name, it turns out that magpies are known as symbols of good luck and prosperity in Korea. A new business with a symbol of good luck in the name - it was fate. When I found myself in possession of a box of Ggachi truffles I was excited, to say the least. In fact, I ate one before noticing that they were the vegan option. They are made with coconut milk, chocolate (cacao, cane sugar, cacao butter, soy lecithin, vanilla), and cacao powder. I couldn't believe it. So rich, such deep chocolate flavor. Holy cow! I don't know why I was so surprised. I often mistakenly still associate a lot of vegan things with words like boring or bland. I should know better. This proves it. 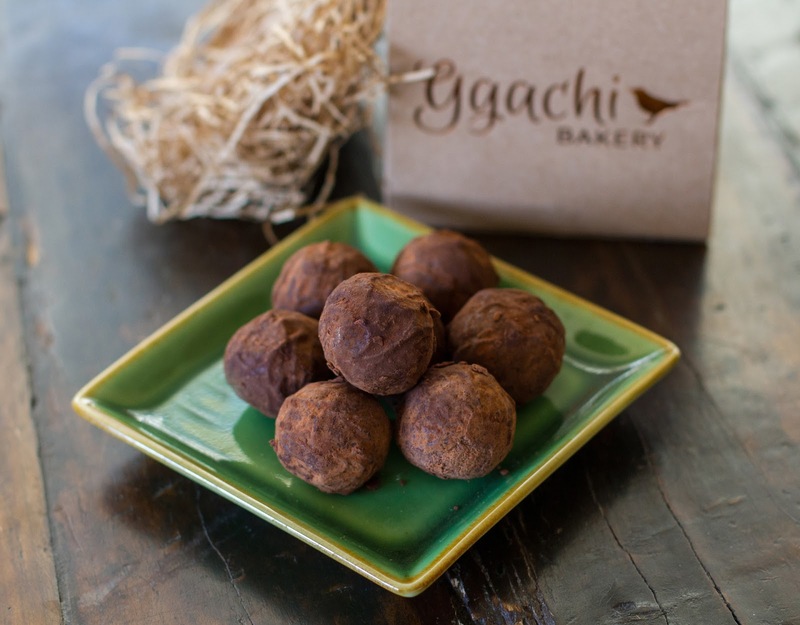 They did not lie when they wrote on the Ggachi website, "With the same richness and depth of flavor as our standard truffles, this vegan-friendly box will blow your mind!" Consider my mind blown indeed. I should also mention that I loved the packaging. The copper branding on the brown box with shredded paper cushioning inside that looks like a bird's nest! Simple, modern and yet cute. Sadly, Renato and I devoured the truffles within days, so we are now truffle-less. Until we treat ourselves to some more, we'll drool over the Ggachi Instagram feed...I mean just look at these rose truffles they are making for Valentine's Day. Oh man, those Valentine's ones look good!